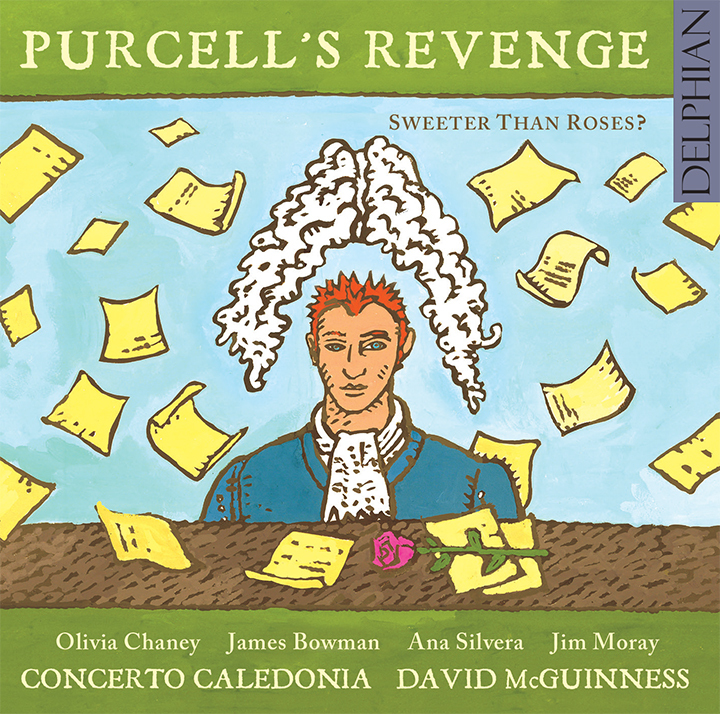 Dr David McGuinness is Senior Lecturer in Music and director of the early music ensemble, Concerto Caledonia, who have just released the album Purcell’s Revenge. He is currently Principal Investigator on the AHRC-funded project, Bass Culture in Scottish Musical Traditions. I was at TradTalk on Saturday, where I’d been asked to kick the day off with a toned-down reprise of a deliberately combative talk I recently gave in Newcastle about ‘The problem with “traditional”’. I thought it was a bit of a brassneck to tell a group of people I really admire who call themselves traditional artists that ‘traditional’ doesn’t really mean anything anymore, but I got away with it, and it was a fascinating day. 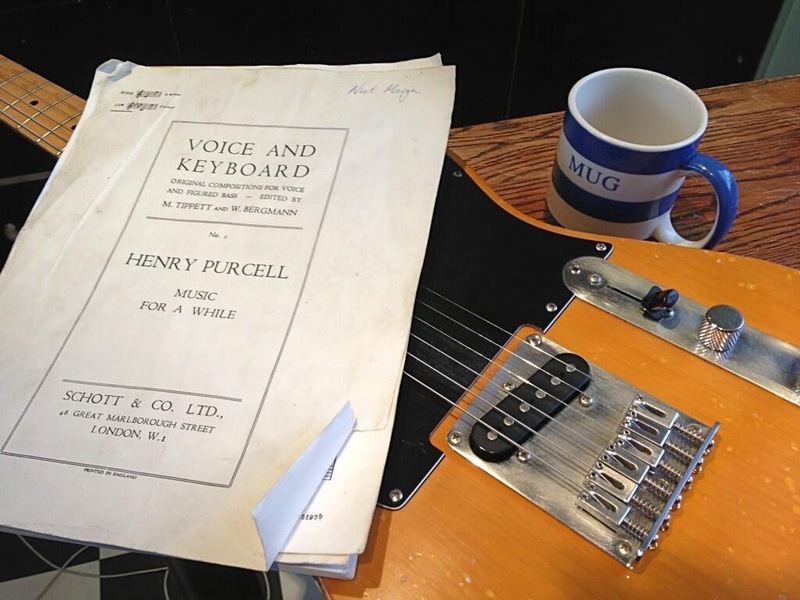 Definitions of traditional music (especially the famous one from 1952) date from a time when classical music was considered the norm for theory and cultural policy. When you don’t have to differentiate everything from classical practice, which is itself a bit of an outlier and quite unusual, you soon find that everything is traditional: is there any art that isn’t to some extent dependent on inherited characteristics or practices? And the problem with defining only some art as ‘traditional’ is that all traditions change, so pretty soon something that’s outside your definition is going to find its way in, and vice versa. This may not be a big deal until you start using the term ‘traditional’ as part of your national cultural policy, or you suddenly find yourself on the wrong side of the borderline, whichever that wrong side may be. I’ve never found the exercise of defining things or practices particularly interesting of itself; I only really get engaged when the defined things start to interact with one another. I mentioned this to my more philosophical colleague Martin Parker Dixon, and he told me that rather than sticking with Aristotle’s ‘individuated substances’, I was moving towards the Buddhist philosophy of ‘dependent co-arising’ or Pratītyasamutpāda. Similarly in higher education, disciplinary purity is becoming an outmoded concept, in favour of the encouragement of porous boundaries, or as they call it in North America, cognitive ecology. Occasionally I get asked what kind of music I’m involved in, and I usually mumble something about being a keyboard player and being interested in lots of different things. But putting it in terms of the interaction between two individuated substances, where I often work is in the relationship between historical and traditional ways of looking at the past. Anyhow, precisely as I was standing up at TradTalk spouting forth on this subject, BBC Radio 3’s CD Review was discussing my group Concerto Caledonia’s new album Purcell’s Revenge, and in her review Anna Picard had quite a visceral reaction against it. It’s always exciting when someone reacts strongly to your work either way; I think relatively few artists would prefer what they do to function as wallpaper. You can hear her reaction here at about 2h13’40. To me, the most fascinating part of what she says is this: ‘Heard separately, the different components in this disc which unites early music specialists, folk music performers … I would like each of these elements separately, but somehow bolting them together just makes me feel really quite distressed’. This is a much more revealing reaction than ‘and I don’t like the constituent parts either’ would have been. She earlier says ‘I’m worried that this disc has unearthed a deeply buried ultra-conservative streak in my tastes’. I don’t take pleasure in distressing people, but this admirably honest response to our record says some very useful things. (I’m big enough not to take offence at ‘bolted together’!) Specialism in itself is very important. If you want to get really very good at something, you have to figure out precisely what it is you have an aptitude for and sufficient interest in, and that can often turn out to be a very specialist area indeed. I spent a couple of decades working mostly as a continuo player on harpsichord and organ when such beings were still quite rare, albeit one who might spend the morning before a gig writing and recording music for TV. The difficulty with having a specialism is that you can then fall into the trap of assuming that you can only collaborate with people who share it. When you do collaborate in this way, this can of course be uniquely rewarding and valuable, but it’s not the only way to work. Keeping everything in ghettos as ‘individuated substances’ is not good for art or for society. 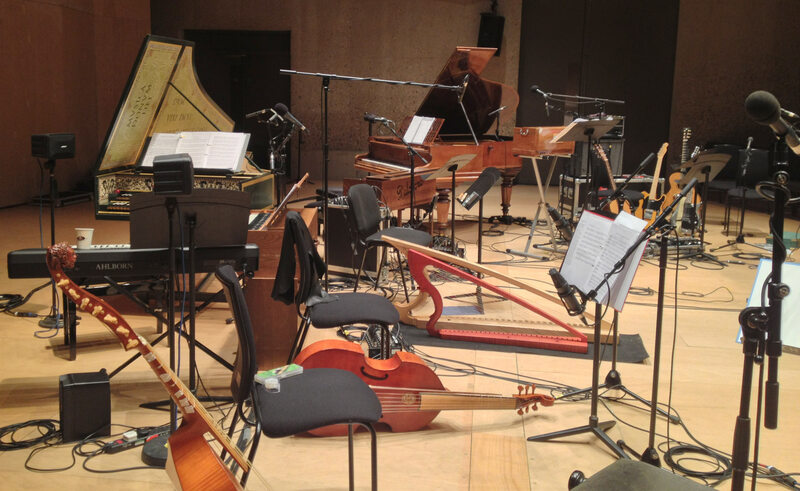 In music, have we become so habituated to operating only in specialist zones, that when we reach out across those now-porous boundaries, some of the audience actually find it distressing? At the TradTalk discussion on building a life and career while earning a living as an artist, porous boundaries were very much in evidence, as it’s becoming ever more difficult to earn a living as a specialist musician: in the present economic climate this will probably continue to be the case. For early music folks, the days of well-paid CD recording sessions every day are well and truly over, and in traditional music in Scotland, there’s a fast-growing community of talented and knowledgeable young musicians chasing gigging opportunities which are not growing much, if at all. Is it time for multiple or changing specialisms to be the norm? I certainly wouldn’t want everyone to end up in a grey mush of having much the same set of skills: think how dull that would be. But after the experience of Saturday, I’m finding it much easier to think about the forthcoming fiddle band project, which starts rehearsing four weeks today. A group of experienced fiddlers will be working with dancers in the exploration of just some of the late 18th-century fiddle sources that we’ve uncovered as part of the AHRC-funded Bass Culture in Scottish Musical Traditions project. I was getting anxious about how the various specialists were going to communicate, or not: can we combine traditional music, historically-informed practice, source studies, dancing, and make it all comprehensible (and enjoyable) as an experience for an audience? It’s only taken a little practical experience of porous boundaries in action, including a bit of stepdancing with Mairi Campbell at TradTalk, and everything seems not only easier, but also less distressing.